So I dropped in this used but 100% guaranteed functional Intel P4 processor@ 3.2Ghz. Mind you, it is replacing the 2.6Ghz one that originally came in there. This is a night and day difference! My old DELL Dimension 4600 is now Rockin' and Rollin' better than before! The fact that I added a full 4GB RAM didn't hurt either! Much better speed and reliability. My Windows Experience Index Score even went from a measly 1.0 to 3.3 now! I'm now Rockin' Windows 7 (Bye Bye XP!) And it's as good as it's gonna get for an older system! ** Before ANY upgrade, be sure to read your motherboard specifications to be sure it will support the upgrade. 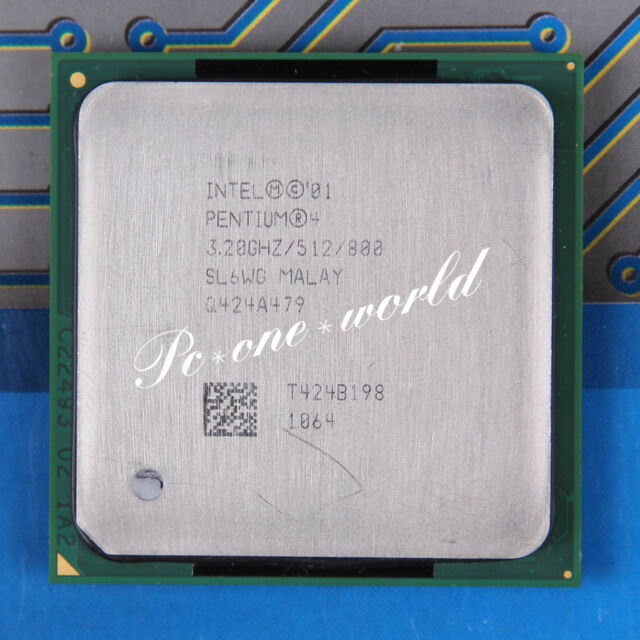 *** I installed this Pentium 4 - 3.2 GHz CPU to upgrade from the 2.0 GHz CPU on an old Windows XP machine. The motherboard BIOS recognized it immediately, and away we go. The extra processing horsepower was worth it. This 3.2 GHZ CPU is easily installed and works well. Although it increased the speed of my computer with Windows 7 it will not work with Windows 8.1 or 10. I have a slower laptop that will work with Windows 10, but have decided against upgrading and will keep Windows 7 on it. This CPU allows me the ability to use 16 bit DOS programs under Windows 7 as it is a 32 bit processor. If you want to run some older operating systems and other programs this is a good CPU to install. I had an older HP with a socket 478 Intel P4 running at 2.4 GHz. Slow by current standards but I decided to see if I could buck that up a bit. So I ordered this CPU running at 3.20 GHz. And with a bit more on board CPU memory as well. WOW, what a difference! My old box is now ready to take on new chores! Perfect! Great processor at a great price! This, along with a RAM upgrade, made an older computer usable again. It was packed well, easy to install, and worked perfectly. Thanks!